Third-year interdisciplinary studies student Cristina Ilnitchi is running to be the next AMS VP External with a platform focused on affordability, accessibility and wellbeing. 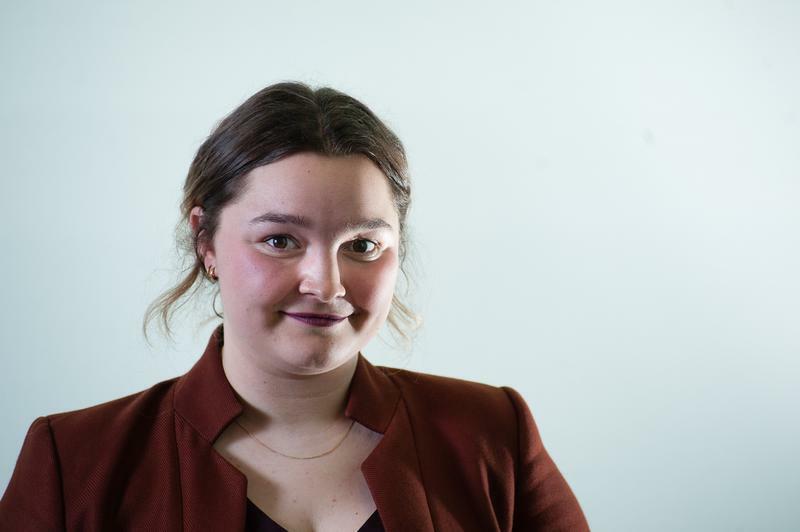 One of three candidates vying for the position, Ilnitchi is hoping to use her experience as the campaigns and outreach commissioner (COC) in the VP Academic office to advocate for students. For Ilnitchi, securing government financial support for student interests is essential. Areas she would like to advocate for include increased government funding for OERs, matching mental health care spending by students, and “realistic” student loan living allowances. Increasing the base funding for domestic tuition is, Ilnitchi admits, a lofty goal, but one she believes is key to making education at UBC more accessible. Ilnitchi also hopes to improve the #TextbookBrokeBC campaign she organized as COC through face-to-face student outreach. Using data-driven advocacy to secure a long-term U-Pass agreement with Translink and securing a SkyTrain extension to UBC are both top priorities for Ilnitchi, as is lobbying the federal government to count on-campus work towards international student’s permanent resident applications. She also wants to lobby the province to hold UBC accountable to its “lacklustre” implementation of the sexual misconduct policy. “There is a lot of opportunity there to collaborate with the provincial government to ensure that UBC rolls out the [Sexual Violence Prevention and Response] Office and the policy appropriately, all the while respecting the autonomy of the university,” said Ilnitchi, citing her role as VP Programming of UBC Sororities, which has seen her working on how to implement sexual violence policies before. In the wake of VP Academic incumbent candidate Max Holmes’ allegations of insensitive questions about his platforms points on the sexual misconduct policy from members of the Inter-Fraternity Council during his endorsement meeting, Ilnitchi has joined three other candidates in rejecting their endorsement of her candidacy.